Moisturization is an important step in our skincare routine and keeping skin hydrated and healthy. In winter skin becomes dry and flaky so we need to change our moisturizer or face cream which is best for winter or according to our skin. 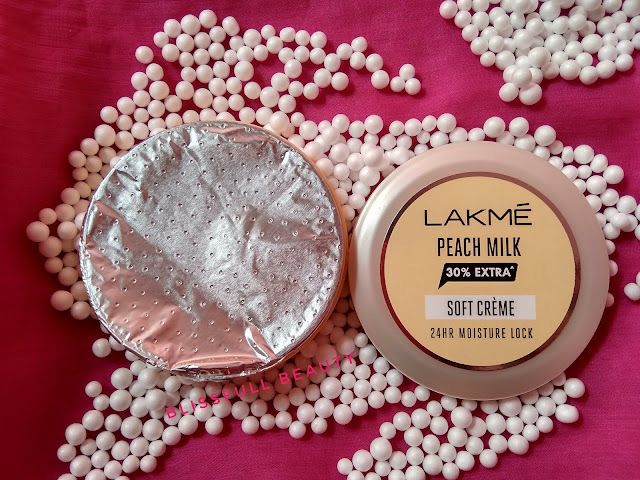 Today I am sharing the best moisturizer, in winter I am using also this cream and also liked it. It is the cream of a well-known brand and one of my favorite brand's product which is Lakme Peach Milk Soft Cream. 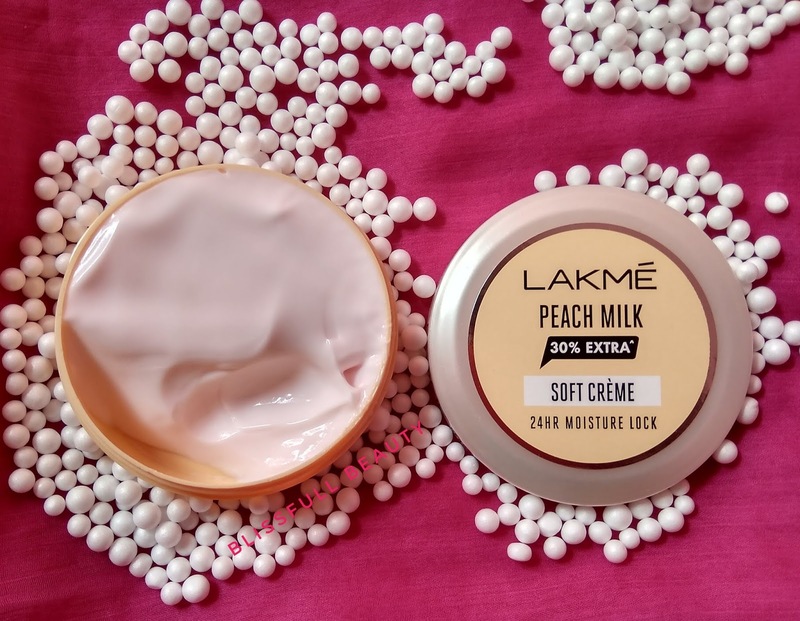 Lakme Peach Milk Soft Cream comes with round light yellow color plastic tub kind of packaging. The name of the product mentioned in the front side of the tub and details information mentioned backside of the tub. 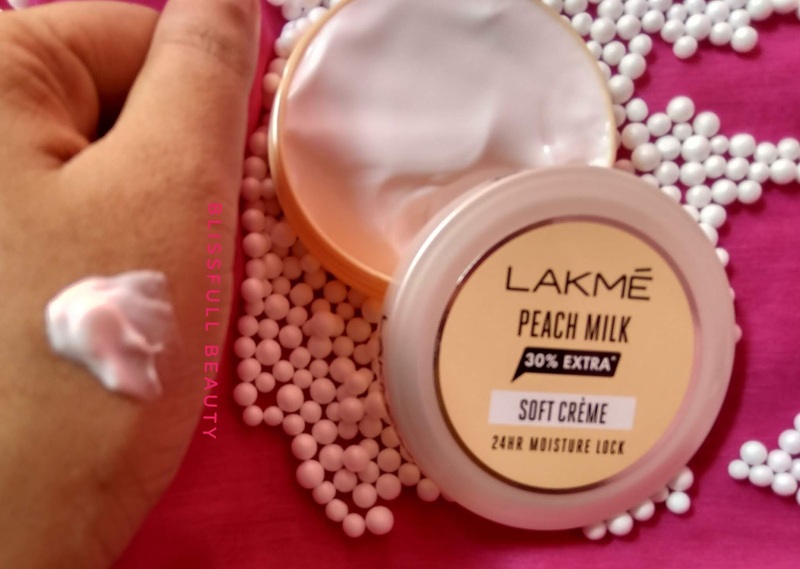 The color of Lakme Peach Milk Soft Cream is white and consistency is medium, not thick lightweight creamy consistency and has a mild fragrance. A light cream formula which seals in moisture for 24 hours to give you soft glowing skin. Applying this cream face and neck after washing your face. Skin does not feel greasy. It claims that it moisturized for 24 hours but it doesn't. It only moisturized for 4 to 5 hours. Choosing a good moisturizer in winter such a difficult task for me. As I have very dry skin in winter I need a good moisturizer which works very well or also keep moisturizer for my skin throughout the day. 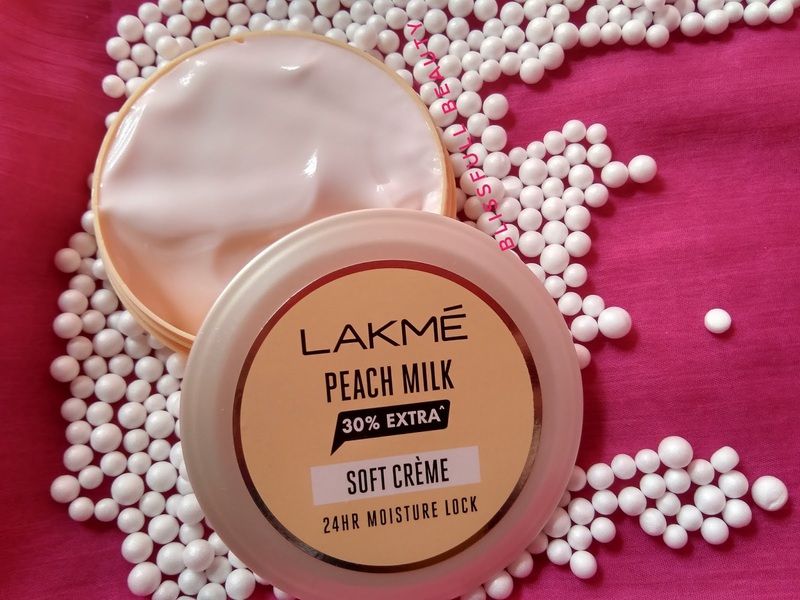 Recently I got to know about Lakme Peach Milk Soft Cream and tried out. This cream moisturizes very well but it does not last throughout the day. It only moisturized my skin for 4 to 5 hours. I used this cream every day in the morning after washing my face. I liked it because it moisturizes very well and soothes the dry skin. If it works 4 to 5 hours for me but it works pretty well that time. A few ladies have discovered the key to revived skin. In any case, you or any other person still watchfulLucy Liu Face Cream for a decent evening skin restoration treatment should focus on discovering night creams that contain just characteristic fixings that won't accomplish more harm to your skin. Substance and manufactured fixings are normally found in skincare items. These fixings come as mineral oils, fillers, additives, and aromas,Lucy Liu Skin Care a large portion of which don't assume a job in the restoration treatment you are searching for. Try different things with a portion of the accessible skin break out creams. You may very well discover this article a skin break out answer for yourself with just skin inflammation cream treatment.